There isn’t a violin small enough. “The political opponents, they did their damage,” he later added of his legal problems. Perry was indicted by a special prosecutor appointed by a Republican from San Antonio on charges related to his veto of state funding for Travis County’s public integrity unit — the part of the district attorney’s office that handles, among other things, ethical and other misdeeds of state officeholders. The then-governor had demanded the resignation of Rosemary Lehmberg, who was arrested for drunken driving and then spent a few days in jail after pleading guilty. But she didn’t resign then and didn’t quit when Perry demanded it. He vetoed the funding. The special prosecutor took that to a grand jury, which indicted Perry on charges that he misused his official powers. The only overtly political thing about the indictments is the defendant himself, who has spent the last 30 years in one political office or another. It’s natural for him to attack his attackers, and putting it off as politics is the textbook response for someone in Perry’s position. He goes on from there, and it’s all well deserved, but this is the point I wanted to make. Perry can whine all he wants about Rosemary Lehmberg. She had absolutely nothing to do with his current legal woes, other than being a focal point for his abuse of power. 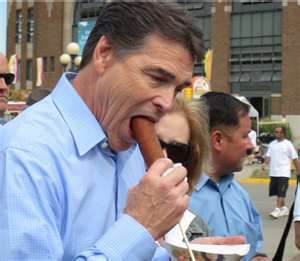 Perry may well eventually beat the rap, but he has no one but himself to blame for his predicament. He also doesn’t understand his own party any more. In Monday night’s interview, Perry revisited his numerous criticisms of real estate developer Donald Trump, who is leading in the GOP polls. But he also expressed frustration that public service, specifically as governor, is being overlooked on political resumes at a time when outsiders are dominating the polls. Dude. Remember that 2010 election? Remember how Republican politicians like you tapped into a deep vein of anger with your own voters, aimed as much at other Republican politicians as at Democrats? Your voters remember it, and they remember how politicians like you pioneered the message – since honed to a sharp edge by the likes of Ted Cruz – that Republican politicians were a spineless bunch of wimps and traitors who had sold them all out. Those same voters now say they want an outsider for President. For someone like Rick Perry to complain about that now is more than a little rich. The circle of life keeps on keeping on. Lawyers for Rick Perry asked the court on Monday to again end the prosecution of the former governor, saying the indictment is faulty and the actions he took in issuing a veto are allowed by law. On Monday, Perry’s team attacked amendments that McCrum had added to the indictments that accuse the former governor of coercion and misuse of public office. The court had found that the initial indictments lacked enough specificity about the facts of the crime. The law allows the governor to go back and forth, debate and in effect horse trade with legislators over bills. His lawyers are trying to argue that because his alleged criminal action involved a veto of legislative funds, that he is protected by that exception. The prosecution is arguing that the person he supposedly coerced is not a legislator and Perry was illegally using his power because what he was attempting to control was an office beyond his scope and not connected to the Legislature. See here, here, and here for the background, and see here for a copy of Team Perry’s latest motion. I said in my last update that I thought the prosecution was having to get mighty intricate with its explanation for why Perry’s actions were criminal, and that I thought it didn’t bode well for them. It looks like the defense is stretching a bit, too, so maybe their case is stronger than I thought. I’m still concerned that the law in question is enough of a misfit to bring the whole shebang down, but it’s in Judge Richardson’s hands again. At least, I assume it is; there may be more filings to come, and perhaps another hearing. We’ll see. The Trib has more. The way is cleared for Judge Bert Richardson of the Texas Court of Criminal Appeals to continue presiding over former Gov. Rick Perry’s criminal case, under an order by the judicial region’s presiding judge. The order was necessary to allow Richardson to rule on a pending effort by Perry’s lawyers to dismiss the case, because Richardson has stepped up to the state’s high criminal court since he first was assigned the case. 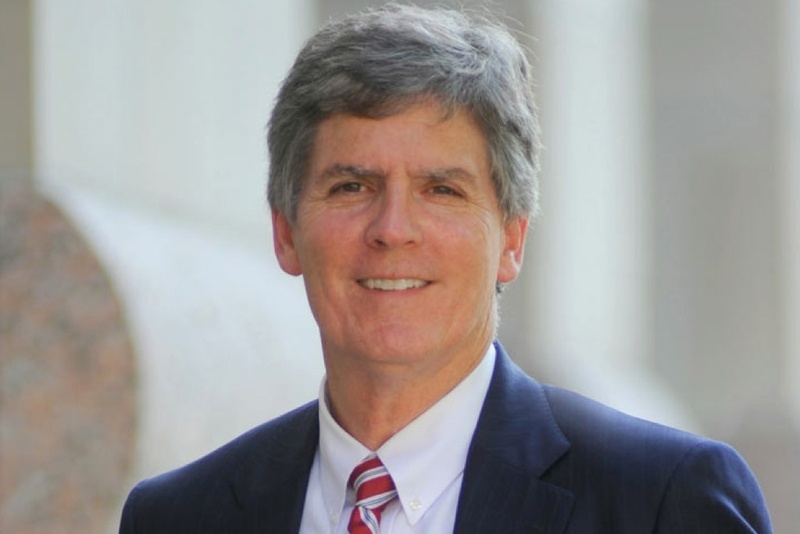 Richardson has overseen the Perry case since 2013, when he was a visiting judge who presided over cases in different counties. He won the Texas Court of Criminal Appeals seat in the November election. Richardson since last year has been considering a Perry effort to dispose of the indictment on constitutional grounds. He ruled against Perry in November when he sought to get the case dismissed on technical grounds. Presiding Judge Billy Ray Stubblefield of the Third Administrative Judicial Region on Friday signed an order assigning Richardson to preside in the case. The step was necessary to authorize Richardson to make rulings in the case. It was Judge Stubblefield who originally assigned Judge Richardson to the Perry case, so I suppose the circle of life is complete. I had wondered before if Richardson’s election to the CCA would force his removal here, but as a commenter on this post noted, Texas law allows for this, and so here we are. We’ve been waiting on that ruling regarding the motions to dismiss on constitutional grounds for quite some time now. At least now we know that it will be Judge Richardson making that ruling. There were two stories from Sunday about special prosecutor Mike McCrum that were worth flagging. First, here’s the Express News with an angle that I think has been underappreciated. People who know McCrum said he is not the type to use a case to play politics. San Antonio defense attorney Patrick Hancock said McCrum is known for spelling out just the facts in court, while Alan Brown said McCrum does not care for politics and tries to steer clear of courthouse politics. Brian Wice, who’ representing former House Majority Leader Tom DeLay, R-Sugar Land, in his appeal of money-laundering and conspiracy charges, looked askance at the indictment. But he simultaneously spoke highly of McCrum, saying he had “the utmost respect” for him. McCrum, a former assistant U.S. attorney, was considered the frontrunner for a presidential appointment to be the U.S. attorney in the San Antonio-based Western District of Texas, which includes Austin, Waco and El Paso. But he withdrew his name from consideration in October 2010 after more than a year of waiting to be officially nominated by the White House, saying he had to get on with his career. “I have not been able to take any cases for the past six to nine months, and as a result my practice has dwindled to almost nothing,” he told the San Antonio Express-News then. At the time, he had the support of the state’s Democratic congressional delegation and both Republican senators, in addition to many local attorneys. One of McCrum’s first jobs as an attorney was at the firm then known at Davis & Cedillo. Ricardo Cedillo described McCrum as “one of the best associates” he had ever hired, echoing others’ comments about McCrum’s thoroughness and analytical skills. McCrum’s clients as a defense attorney have included former NFL star-turned-drug trafficker Sam Hurd; Dr. Calvin Day, who is awaiting a new trial after McCrum successfully lobbied to have his jury conviction for sexual assault of a patient thrown out; fellow lawyer Mikal Watts, a Democratic Party stalwart who has hosted President Barack Obama at his home; and Mark Gudanowski, the former driver for District Attorney Susan Reed accused — and acquitted — of illegally selling Southwest Airlines vouchers. We were briefly introduced to Mike McCrum when he was named special prosecutor for this case, but that was much more cursory. 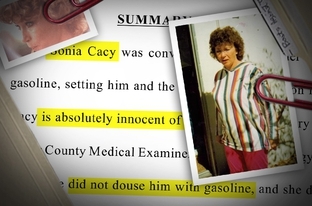 What this story reminds us is that McCrum isn’t just a prosecutor. He’s also been a very successful defense attorney. As we saw yesterday, there are a lot of quotable defense attorneys out there poking holes in the indictments. One would think – at least, I would think – that someone like Mike McCrum, who has been on that side of the courtroom, would have analyzed this case and the evidence from that perspective as well, to better prepare himself for the courtroom battles to come. It’s certainly possible McCrum has missed the mark or gotten caught up in the job and focused too much on an end result, but I wouldn’t count on that. If he’s as diligent and as smart as people say he is, he’s got to have considered all this. The DMN takes a more political angle. Solomon Wisenberg, a Washington lawyer who has known McCrum since 1989, when they worked together as assistant U.S. attorneys, said his friend is not partisan. Referring to Perry’s indictment, Wisenberg said: “There are people who are politically motivated who are probably happy about it. There are people on the other side who think it must be politically motivated. Gerald Reamey, a professor at St. Mary’s University School of Law in San Antonio, taught McCrum criminal law and procedure. “In his personal life and his professional life, there is some evidence that he is a fairly conservative person,” Reamey said. “He was prosecuting high-profile drug offenses. At the same time, he fits well into the criminal defense role. According to campaign finance records, McCrum has made only a handful of contributions to state and federal candidates. He gave $300 in 2007 to Steve Hilbig, a Republican judge on the state appeals court based in San Antonio. Also that year, McCrum donated $500 to U.S. Rep. Charlie Gonzalez, a San Antonio Democrat. The next year, he contributed $500 to Republican Robert “Bert” Richardson, a Bexar County district court judge. Richardson assigned McCrum as the special prosecutor after a watchdog group filed its abuse-of-office complaint against Perry. A little history here. When the complaint was filed by Texans for Public Justice against Perry, Travis County DA Rosemary Lehmberg recused herself from investigating it. That sent the complaint to the district courts of Travis County, where it was assigned to Judge Julie Kocurekof the 390th District Court. Kocurekof, a Democrat, recused herself as well. That kicked the case to the 3rd Circuit Court of Appeals, where presiding Judge Billy Ray Stubblefield got it. Stubblefield then assigned the case to Senior Judge Bert Richardson, who I presume will be the judge from here on out barring anything weird. Richardson named McCrum as special prosecutor, since the Travis County DA had taken itself out, and the rest you know. Well, actually, there’s one more thing you might not know. Both Judge Stubblefield of the 3rd Court of Appeals, and Judge Richardson, who is a Senior Judge after losing election in 2008, were originally appointed to their positions. By Rick Perry. Quite the liberal conspiracy working against him there, no? One more piece of history, from the Trib. Rick Perry isn’t the first Texas Governor to run afoul of the law in this way. A Travis County grand jury’s allegations on Friday that Gov. Rick Perry improperly threatened to veto funding for the state’s anti-corruption prosecutors marked the first time since 1917 that a Texas governor was indicted. That year, Gov. Jim “Pa” Ferguson was indicted by a Travis County grand jury on allegations that he meddled with the state’s flagship university amid a squabble with its board of regents. In Ferguson’s case, he vetoed $1.8 million over two years (about $34 million in today’s dollars) for the University of Texas; in Perry’s case, it was $7.5 million for the Public Integrity Unit, which is overseen by Travis County District Attorney Rosemary Lehmberg. After Lehmberg pleaded guilty to drunken driving, Perry threatened to pull state funding from her office unless she resigned. Ferguson’s indictment led to impeachment by state legislators in September 1917. That’s highly unlikely for Perry, a lame duck with an overwhelmingly conservative Legislature who is facing felony charges for his threat — one he made good on — to veto funding for of the unit charged with investigating public offices in Texas, including that of the governor. But there are striking similarities. Ferguson, a Bell County native who worked as a rancher and a banker before becoming governor in 1914, got in trouble for trying to remove public officials who had opposed him. Two of the articles of impeachment that removed Ferguson from office accused him of having “invaded the constitutional powers of the [University of Texas] board of regents” and “sought to remove regents contrary to law,” wrote Cortez Ewing in the journal Political Science Quarterly in 1933. Ferguson’s veto of the university’s entire legislative appropriation also prompted outrage, though he was not impeached on that point. And the regents were goading a legislative investigation into embezzlement of state funds and improper campaign finance by Ferguson, while today, some believe Perry wanted the Public Integrity Unit gone because it was investigating possible corruption of state programs — including the Cancer Prevention and Research Institute of Texas. Perry has adamantly denied that, saying that he was entirely motivated by Lehmberg’s bad behavior. I wouldn’t read too much into any of that, but it’s an interesting piece of history. We may as well learn as much as we can about this case, because for sure they’ll be teaching it to our kids and grandkids some day.